Andrez Bergen, Black Sails, comics, Disco Inferno novelisation, Film Noir, IF? Commix, Magpie, Tobacco Stained Mountain Goat, Trista & Holt #15, Trista & Holt #15 Review, Trista and Holt #15, Tristan and Iseult, Who is Killing the Great Capes of Heropa? Heartache, despair, and sweet revenge await in Trista and Holt #15, following Trista’s shocking treatment at Black Sails sanatorium. But is their tragic love affair really over? Issy must now struggle back from the brink of despair, fending off suicidal thoughts and his inner demons, to return to Black Sails and save Trista. In this powerful and moving series finale, Trista and Holt seek to escape from their warring families forever, but can their love ever truly survive now after everything that‘s be done to tear their lives apart..? 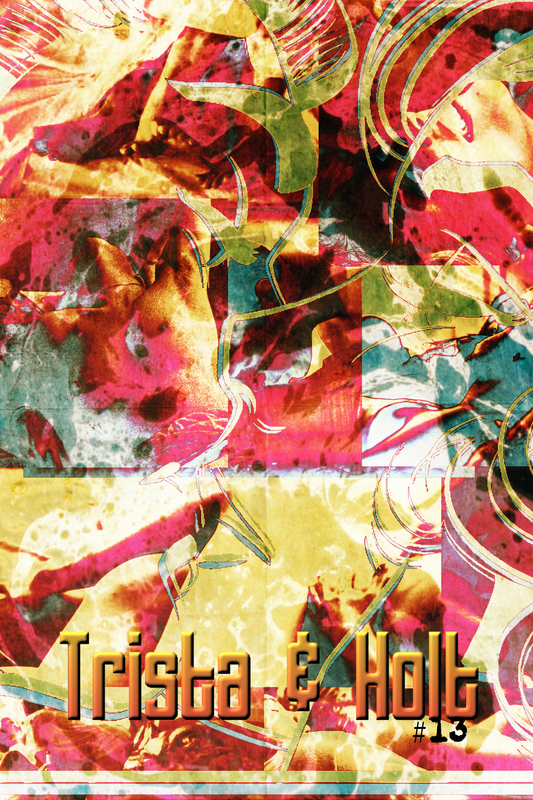 Trista and Holt #15 brings Andrez Bergen’s (writer / artist of Tales to Admonish, Bullet Gal, and author of Who is Killing the Great Capes of Heropa?) IF? 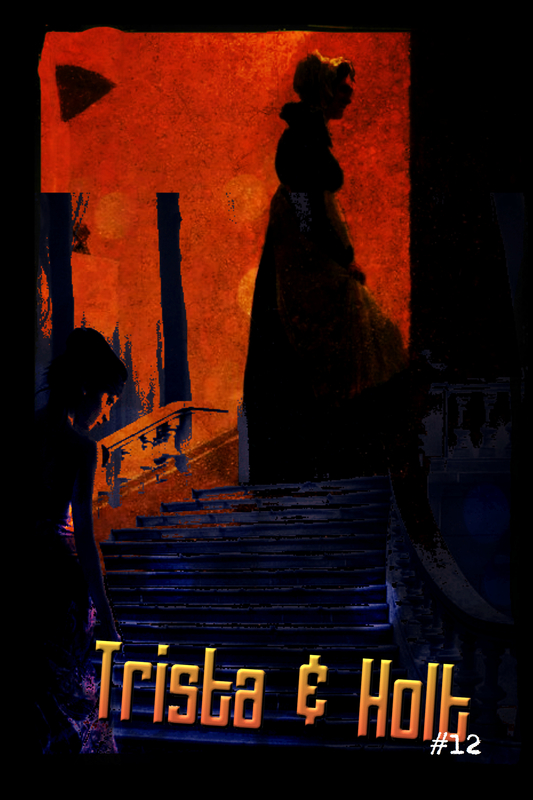 Commix crime-riddled, pulp-noir, dada influenced take on the medieval story of Tristan and Iseult spruced up with modern digital sensibilities, hardboiled violence, passion, and disco, to a sensational conclusion. Following the success of his Bullet Gal series, Magpie, and with the Black Sails, Disco Inferno novelisation just released (which also retells the classic romance of Trista and Iseult in a 70’s style pulp/noir world), Andrez Bergen’s innovative storytelling and distinct artistic style ensures Trista and Holt #15 rounds off his latest IF? Commix series in fine style. Right from the outset, Trista and Holt #15: In The End, plunges us deep into the shadowy, nightmarish abyss of Issy’s suicidal despair as we flashback six days to find him broken hearted, despondent, and resigned to ending his own life. Having discovered the truth about his father and Trista’s aunt Marcella, and after learning what happened to Trista at Black Sails sanatorium, Issy has spiralled into a twisted game of Russian Roulette in which his own emotional ruin will seemingly provides the ammunition Issy needs to end his pain. Andrez Bergen sends us on a roller coaster ride of emotions as the narrative unfolds, with Izzy facing his darkest hours, before finally emerging from his frenzied stupor without a bullet in his brain and the epiphany that will ultimately drive him – quite literally – in his dad’s cherished Jaguar D-Type to reach Black Sails and rescue Trista from the fate engineered by those whose machinations have conspired to destroy them. The dark opening themes gradually melt away during the heartrending reunion in the gardens of Black Sails, it’s a beautiful yet tragic moment for our erstwhile lovers, punctuated with dreams, recollections and melancholy as birds circle in the overcast sky above, Trista and Holt will make one last ditch bid for freedom that’s every bit as ingeniously bitter-sweet as it is barbed with revenge for those that have wronged them. Andrez Bergen’s art for Trista and Holt #15 is arguably some his finest work ever: from the stark despair of Issy’s dalliance with suicidal thoughts, through to the windswept journey to Black Sails relayed via a collage of striking imagery and surreal montages, the digital cut-ups and collages of dreams and fantasy splice seamlessly with the emotional resonance of Trista and Holt’s reunion, and the bold white infused splash pages that sear away the shadows provide a vivid contrast with the intoxicatingly sombre, yet exquisitely upbeat and sensual tone of this impressive double-sized issue as the series concludes in the most unexpected way imaginable. If you enjoyed Trista and Holt, then be sure to check out Andrez Bergen’s brand new Black Sails, Disco Inferno novelisation (with Renee Asher Pickup) based on his Trista and Holt IF? Commix series. The paperback is available now via Amazon USA and Amazon UK and Amazon Canada, while the eBook can be picked up at Amazon USA, Amazon Australia, Amazon France, and Amazon Japan. Andrez Bergen, comics, Film Noir, IF? Commix, Magpie, Tobacco Stained Mountain Goat, Trista & Holt, Trista & Holt #14, Trista & Holt #14 review, Tristan and Iseult, Who is Killing the Great Capes of Heropa? April Fool’s Day is no joke in Trista and Holt #14, especially for Trista, as she’s been abducted by unknown criminal henchman and will soon discover the horrific secret of Black Sails – while Issy learns the truth about his father and Trista’s aunt Marcella. Meanwhile, the most clandestine proceedings unfold via the feline gaze and narration of Issy’s cat, Andred, in a sublime throwback to Japanese classic ‘I Am a Cat’ by Natsume Soseki. Trista and Holt #14 is the penultimate issue of IF? Commix hardboiled, pulp noir, and dada inspired homage to the medieval story of Tristan and Iseult, spruced up with modern digital flourishes and infused with a crime-riddled blend of bullets, passion, and disco from Andrez Bengen, the writer / artist of Bullet Gal, Tobacco Stained Mountain Goat, Magpie, and the author of Who is Killing the Great Capes of Heropa? The Trista and Holt IF? Commix series has recently been licensed to Project Nerd Publishing in the U.S., and is soon to become a novel as well. Following the ambush at the Amusement Park, Trista is being driven by Geoffrey’s men along a dusty side road to Carhaix, her thoughts turn to the mysterious Norwegian who was gunned down as she was captured and what she learned from him. Andrez Bergen gets right under the skin of all the characters in this issue, keeping the tension simmering right from the outset, as Trista is delivered to Black Sails, before the scene – and narrative – is transplanted to the viewpoint of Tintagel’s feline resident; Andred the cat. Bergen’s ingenious drawing of inspiration from Natsume Soseki’s satirical novel ‘I Am a Cat’ is a sublime masterstroke here. 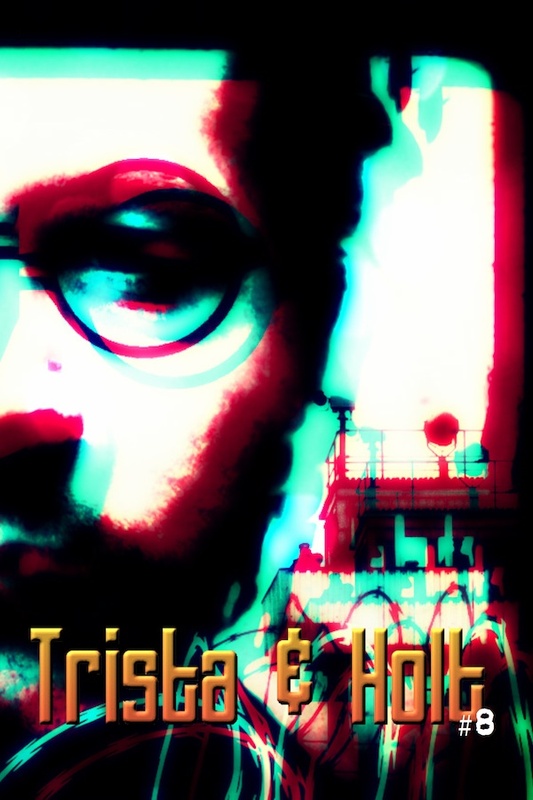 Intercut with Trista’s journey with her new friends, Andred cat’s-eye view of the world explores the shady dealings of Marcella and Isidor Holt SR’s insidious plots and machinations, and uncovers who has taken care of Trista for them and the horrific fate to which she is shortly to be condemned to. Andred’s journey through the house also gives witness to untold treasures, an unexpected meal, and eventually solace with Issy who is glued to the ambling, meaningless, and often mundane preamble of the monkey box. The art for Trista and Holt #14 features some of the most stylish use of imagery and digital montages that Andrez Bergen has utilized so far during this IF? Commix series’ run. The digital cut-ups and collages are somewhat less prominent this issue, instead we have softer, less cluttered layout, with bolder imagery and splash pages which feel far more in keeping with the brooding and more sombre tone of this issue. With a dizzying opening monologue that spools out along a dusty back road, the brooding menace of Tintagel, to a world seen though Andred’s feline gaze, and the chilling realization of what awaits Trista in Black Sails sanatorium collectively adds up to make this issue one of the undoubted highlights of the entire series. Space: 1999 will have to wait, when a newsflash and a telephone call brings the issue to a frightening and heartrending cliff-hanger… Andrez Bergen has excelled himself with this issue, as he brings all the threads of the saga together via a series of game-changing events, which ultimately sets the stage for the final issue. Trista and Holt #14 is a stylish, nerve-jangling, and mesmerising issue that leaves the main characters of this IF? Commix series in an extremely grim place as this tale of love, tragedy, and betrayal approaches its final issue. Andrez Bergen, comics, IF? Commix, indi comics, Small Change, Tobacco Stained Mountain Goat, Trista & Holt, Trista & Holt #13, Trista & Holt #13 review, Who is Killing the Great Capes of Heropa? 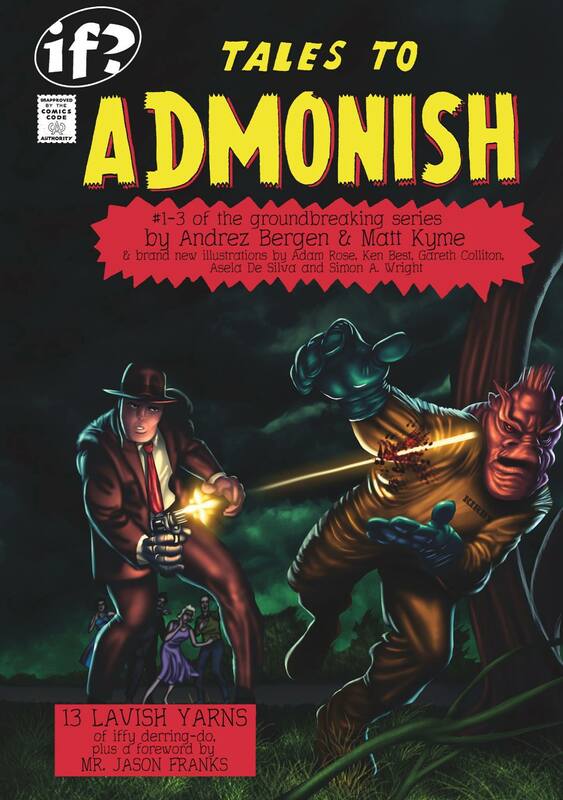 Featuring the mesmerizing story and art by Andrez Bergen, author of the acclaimed superhero noir-detective novel Who is Killing the Great Capes of Heropa? , along with the new novel, Small Change, and the debut of Bergen’s new superhero story Magpie featuring art by veteran Aussie artist Frank Kantor in the pages of Australian comic magazine Oi Oi Oi #7, Andrez Bergen’s latest IF? 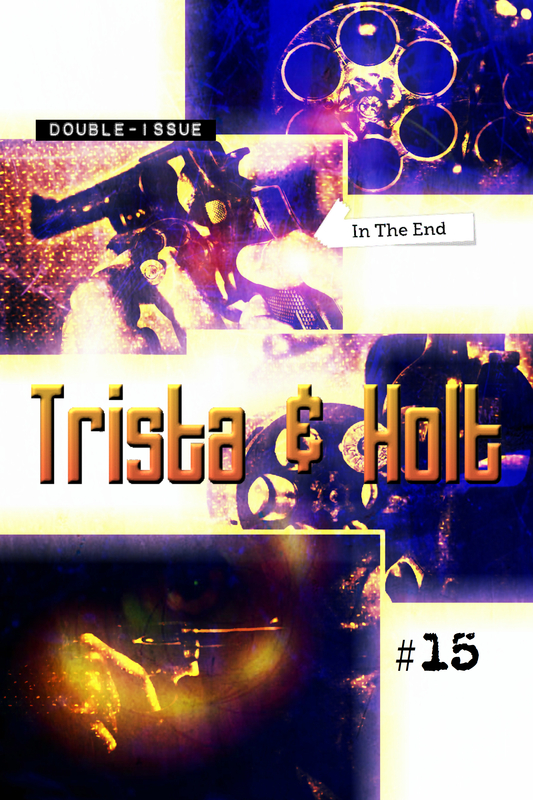 Commix release Trista & Holt #13 sees further layers of the bullet-riddled pulp noir world of Trista and Holt begin to unfold amidst a sensual disco infused narrative of spellbinding mystery, overflowing with shady schemes, double dealings, and cruel brutality. Andrez Bergen has woven an intricately textured issue, one bursting with more characterization than most series cram into an entire story arc, and the results is a sublime fusion of story and art that is almost intoxicating in its intensity. With passions running high for Trista and Holt this issue opens with a moment that is both beautiful and sensual, yet also tragically marred by the circumstances that have brought them together. The Governal’s funeral is over, but there is unfinished business to be dealt with. An unconsummated marriage bed lingers as little more than a shallow afterthought, secrets and lies wait in the rambling rooms of a mansion, and the lines between passion and agenda become increasingly blurred for erstwhile lovers Trista and Holt. The art for Trista and Holt #13 contains some of the most innovative art and imagery that Andrez Bergen has employed so far during this IF? Commix series. The delicate, almost haunting blend of art, photographs, striking digital imagery, and dada-inspired cut-ups on a grand scale collectively brings this unique issue to life. The erotically charged opening scenes alone make the adrenaline surging examination of the all-encompassing mystery, lust, grief, and plethora of revelations which follow seem all the more involving because we have become so completely invested in their embrace from the outset without even realizing it. Bergen revs the self-styled noir tones so synonymous with work into maximum overdrive for this issue: from the vast shadows and hidden corners of Tintage mansion, to a disturbing find in an underground cellar, across the hazy, flighty, so-right-yet-its-so-wrong tangents of unbridled passion and heartache which Trista and Holt’s individual story arcs begin to take, before a sheen of raw negative filmic imagery and a tumbling cigarette unite as violence erupts. In short, this issue of Trista and Holt brings several plot strands together and successfully sets the stage for what is sure to be an epic finale! Answering an unexpected call Trista goes to an old amusement park to meet the notorious Norwegian. This place holds some very special memories for Trista, but the past and the present are set to collide here in the most shocking way imaginable once harsh truths are exposed and the bullets start flying… Trista and Holt #13 is another superb issue from Andrez Bergen, with its incredible cover, brilliant story and art, this one has it all – and there’s also a stunning bonus Trista and Holt pin-up by Thomas Tung as well. With its blood-soaked last exit to nowhere cliff-hanger, Trista and Holt #13 is passion fuelled, noir-drenched extravaganza of the highest order that will captivate your imagination and entice you with every page. Andrez Bergen, Bullet Gal, IF? Commix, Magpie #1, Small Change, Trista & Holt, Trista & Holt #12, Trista and Holt, Tristan and Iseult, Who is Killing the Great Capes of Heropa? Hot on the heels of the widely acclaimed Bullet Gal prequel series from IF? 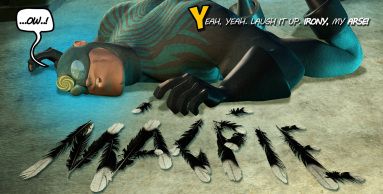 Commix and the imminent debut of MAGPIE, the newest release from IF? Commix is Trista & Holt #12, a hardboiled crime saga that mixes a wild disco-infused narrative with the old school medieval legend of Tristan and Iseult. Featuring story and art by Andrez Bergen, author of the superhero noir-detective novel Who is Killing the Great Capes of Heropa? , the graphic novel Tobacco Stained Mountain Goat, and new novel, Small Change, Bergen’s distinct vision continues to break new ground in Trista & Holt #12 as this modern homage of Trista and Holt’s crime-riddled pulp noir world spins a trippy mix of passion, violence, and intrigue. Andrez Bergen’s Trista and Holt series is a heady blend of action, compelling characters, and stark noir-inspired atmosphere, one that provides an intoxicating throwback to the pulp legacy of yesteryear and splices it with modern sensibilities. Romance is in the air in Trista and Holt #12, and things are certainly hotting up for our erstwhile lovers, but the mood is soon tarnished when Trista learns about the Governal’s murder. There will be wedding bells to counterbalance the abundance of funerals that have rocked their world, but will that be enough, and we are left wondering if these nuptials are for the right people at the right time. Trista and Holt #12 features some of the most striking art and imagery that Andrez Bergen has used on this IF? Commix series to date. The unique fusion of art, photos, digital imagery, and dada-inspired collage cut-ups which Bergen employs here is every bit as mesmerising and eye-catching as we’ve come to expect from his work. This issue really sees Bergen elevate the visuals in Trista and Holt to whole new level of sublime ingenuity. From the beautiful close up of an unblinking eye that mixes grief, retribution, and revenge, the smoky, often dream-like quality of the narrative unfolds translucently with the eventual wedding itself, and there is a brooding, almost sensual air of dread which builds to an absolute killer of an ending. So, as Issy endures another death in his family and Trista mourns her mentor – they still find solace together – while Brangien encounters an unexpected twist of fate… Trista and Holt #12 is another fantastic issue in this IF? Commix series from Andrez Bergen. This outstanding pulp-noir saga effortlessly combines its moody visuals with the legacy of Tristan and Iseult, spattering the crime-ridden brutality with raw emotion to a punchy disco beat that will hone the senses and fire the imagination like nothing you’ve experienced before. Magpie is very much in the spirit of, well, The Spirit – taking on the concept that people like Will Eisner and Tarpé Mills did of telling complete stories and off-beat vignettes, with a sense of humor as much as a nod to noir, over 8-page installments. A homage to the comics of the golden age to the contemporary, it also carries with it a pastiche/deconstruction of multi-media pop-culture sensibilities, and the odd breaking of the fourth wall. Just under 2 years ago, Nat Karmichael at COMICOZ – lamenting the fact that Australia had no nationally-released comic magazine, available to people everywhere, that Australian artists and cartoonists could contribute to and be paid to see their work published – decided to do something about this. He began by publishing an Australian comic magazine that was available in newsagents around the country. Maybe you have heard about it. It’s quite likely you haven’t. The publication is called Oi Oi Oi! Its further intention? To regularly publish a national comic anthology available on Australian newsstands, telling Australian stories to and for all Australians. To date, 6 issues have been published on a quarterly basis and featured the work of almost 40 different Australian artists and cartoonists. #1 won a Golden Stapler Award for ‘Best Collaborative Zine’ in 2014, and #4 was nominated for the same award in 2015. The second issue was short-listed for a prestigious Ledger Award ‘for excellence in Australian comics’ in early 2015. 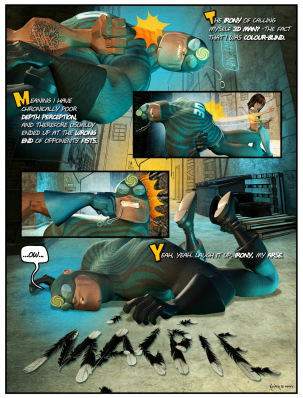 Which brings us up to date, and #7 – which is set to be rolled out at the end of January, 2016, introducing a brand new superhero story arc titled Magpie, by the award-winning writer/artist team of Andrez Bergen and Frantz Kantor. #7 also features Seven by Alisha Jade, Preston Peace by Jeremy Staples (words) and Dillon Naylor (art); Frankenstein by Mary Shelley (words) and Frank Candiloro (art), with Rene Pfitzner‘s brilliant Goblins at College rounding off the issue. OVERSEAS FANS! You are welcome to subscribe: it’s A$60 for 4 issues, and – for a limited time only, while stocks last – you will get the FREE Special Nostalgia Issue. Subscriptions begin with the current issue on sale on Australian newsstands. The landmark Australian anthology title ‘Tales to Admonish’ kick-started IF? Commix the day after Jack Kirby’s birthday in 2013, and the Melbourne-based publisher unleashed three issues of pulp-noir (and a penchant for sci-fi and horror) with a sting in the tail. This trade paperback collection brings together those first 3 issues by Andrez Bergen (writer) and Matt Kyme (artist), along with the unpublished #4 featuring a who’s who of other Australian artists. Catch up with iconic characters Roy & Suzie staking out vampires and haranguing wannabe zombies, along with shoo-ins by Bullet Gal, the Big O, and ace WWI pilot ‘Wilks’ Wilkinson, in stories that bounce around influences like Kolchak, Buffy, Biggles, and The Twilight Zone. The latest offering from IF? Commix takes us into the crime-ridden world Trista and Holt #8, with words and pictures from Andrez Bergen, author of the noir-superhero detective novel Who is Killing the Great Capes of Heropa, and the IF? Commix Bullet Gal prequel series and recent Bullet Gal trade paperback collection: It’s Not You It’s Me. Trista and Holt #8 continues Andrez Bergen’s modern homage to the old-school legend of Tristan and Iseult, in this charismatic, hardboiled, and iconic noir-infused new If? Commix series. In this issue we take a step back from the frenetic pace of recent events for a somewhat more measured, emotionally charged, and decidedly sombre instalment of the series’ erstwhile lovers whose lives have become so tragically entwined. Following the death of Moore Holt, caused by Trista Rivalen, Trista is also injured, and she is currently recovering in a hidden location from the feuding families with the help of Issy Holt – heir apparent to the Holt family. As emotions run high, Isidor Holt faces the grim task of identifying Moore Holt’s body at the morgue. From here the spotlight falls on Issy’s father, Isidor – head of the Holt Clan, as flashbacks peel away hidden secrets from the past. We discover the true side to his origin, the sinister overtones and rise to power, marriage to Alania, the reasons Isidor wept for Lou Holden, and some unexpected links to Trista’s aunt Marcella. Andrez Bergen brings the same pulp-noir tone of images and art to Trista and Holt as he did with Bullet Gal. This seamless blend of digital enhancement, photographic imagery, and dada-inspired collages make the dark, brooding world of Trista and Holt even more compelling. From the morose opening scenes that bring us to the morgue, the art quickly strikes a rich cord with the storyline, offering a tangent that brings the woman with an outrageous French accent and the forlorn sight of a gangland leader now crippled and forgotten in a darkened room. Flashbacks bring us ever further towards a life as it unravels like the shuffling of a deck of cards, where a real name is revealed for the first time in thirty years, while the horror and persecution in a Nazi concentration camp resonates darkly across the shadowy veil of time, before freedom spells hope and the promise of dreams waiting in a brave new world – dreams that will ultimately become crushed beneath the cold heel of fate. If you loved Bullet Gal, chances are you will enjoy Trista and Holt as well. Although this issue is perhaps not wholly indicative of the series overall, Trista and Holt #8 is notably slower in pace than previous issues, even the tone is markedly darker, but its testament to Bergen’s skilful fusion of detailed plot and characterization that uses this issues markedly different approach to great effect. While there’s a lot going on here, this issue actually makes a really good jumping-on point for new readers, and it also rewards those who have been reading since the beginning with some fresh insights to the ongoing storyline and characters. Trista and Holt #8 is another impressive issue, Andrez Bergen’s storytelling and art continues to impress on every level, and this series remains one of IF? Commix standout new titles. This innovative pulp-noir of yesteryear mash-up with crime the laced saga of Tristan and Iseult, blends noir, brutality, and disco with stylish aplomb. Few comics immerse you within its story and art like Trista and Holt, even if you are a little late the party, this is one issue that will certainly make you want to explore the dark and groovy world of Trista and Holt. Andrez Bergen, Bullet Gal, Bullet Gal #12, Bullet Gal #12 Review, Depth Charging Ice Planet Goth, Heropa, IF? Commix, Tales to Admonish, Who is Killing the Great Capes of Heropa? After the recent release of the Bullet Gal trade paperback collection: It’s Not You It’s Me, this final issue of the 12 part arc with story and pictures from Andrez Bergen, author of the noir-style superhero detective novel Who is Killing the Great Capes of Heropa, IF? Commix series Tales to Admonish, graphic novel Tobacco Stained Mountain Goat, and the novel Depth Charging Planet Goth, wraps Bullet Gal’s prequel story up as the full ramifications of the Reset that Lee #3 (That’s our Bullet Gal’s own Lee, one of the eight identical duplicates spliced from the personality of the man who created Heropa, and he’s also Major Patriot!) has engineered to create an entirely new world for him and Mitzi while vanquishing their enemies in the process. 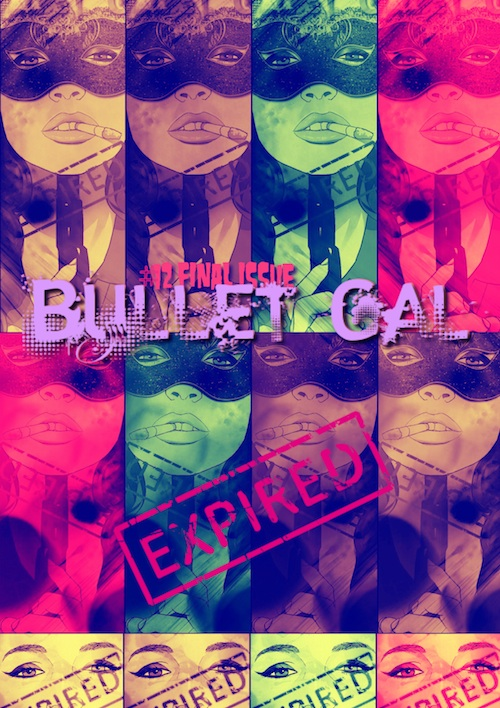 Bullet Gal #12 possesses an air of nervous anticipation coupled with a somewhat upbeat finality, while loose ends are gathered; characters prepare to step into a new order where the noir-shrouded streets offer untold potential for the future. As this issue of Andrez Bergen’s IF? Commix prequel series brings Mitzi’s early adventures in Heropa to a close; we experience the Reset from a dazzling variety of viewpoints and timeframes. Game changing rules are quickly established as the digital framework of Heropa embraces the embryonic code of the Reset to become a new reality. Lee’s grand design rings in the changes on a vast scale, one entwined within a loop of logic and fate that coalesces the narrative and pizzazz of the imminent press conference at Timely Tower to introduce the new order that will set the foundations of a silver age for tomorrow. Having survived her recent brush with death, it is perhaps no surprise then that the Reset heralds some fairly significant changes in Mitzi’s life. Even though Bullet Gal now faces the end of all she knows and the beginning of everything she will become, Lee is there with her every step of the way, and the chemistry between them is electric. As for Brigit, the crazed French hit woman who organized the attempt on Bullet Gal’s life, well, it would seem the Reset has wrought the most ruthless and fitting revenge imaginable for our heroines arch nemesis. Mitzi may feel naked without her trademark guns, but her new role and identity as Aerialist more than compensates for any misgivings she has. Indeed, her characters new stance here makes us fall in love with her all over again, her new identity fits her like a glove, and the jetpack is an added bonus! The distinctive look and tone of Bullet Gal is undoubtedly one of the series’ biggest factors in making it stand out from the crowd. Andrez Bergen has fashioned a striking and bold aesthetic in terms of comic book art with Bullet Gal, with a mix of vivid black and white imagery, digital photomontages, and the sublime fusion of pulp noir themes, Dadaist influences, and throwbacks to the rich history of the comic books of yesteryear, every issue has been stylishly realized. Bullet Gal #12 is the very embodiment of Bergen’s vision: whereby the sprawling code of the Reset gives way to the rain swept streets of Heropa, behind-the-scenes a new team is forged from the ashes of the old, clandestine meetings unfold, we even join an old enemy for tea, a spectacular new tower now graces Heropa’s skyline, Little Nobody also gets to join in the party mood, and villains begin plotting to scratch the sheen from this brave new world. Add in the tantalizing hints of color emerging throughout the pages of this issue, and Bullet Gal #12 rounds the series off in fine style. 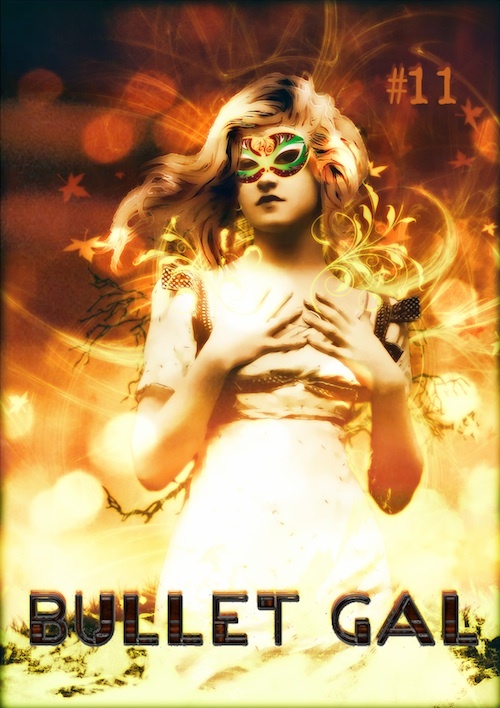 Bergen’s phenomenal Bullet Gal prequel series concludes magnificently with Bullet Gal #12. Taken as a whole, the series has been an unqualified success. This hardboiled pulp-style adventure, with its nor-spliced digitally enhanced reality and plethora of subliminal subtexts, has been an exciting and extraordinary journey. The end is near, but the Reset has given Mitzi and Lee a second throw of the dice, and the future is now sublimely entwined in the pages of Bergen’s novel Who is Killing the Great Capes of Heropa? Bullet Gal’s adventures may be over for now, but there’s still plenty to look forward to. With Bergen’s new IF? 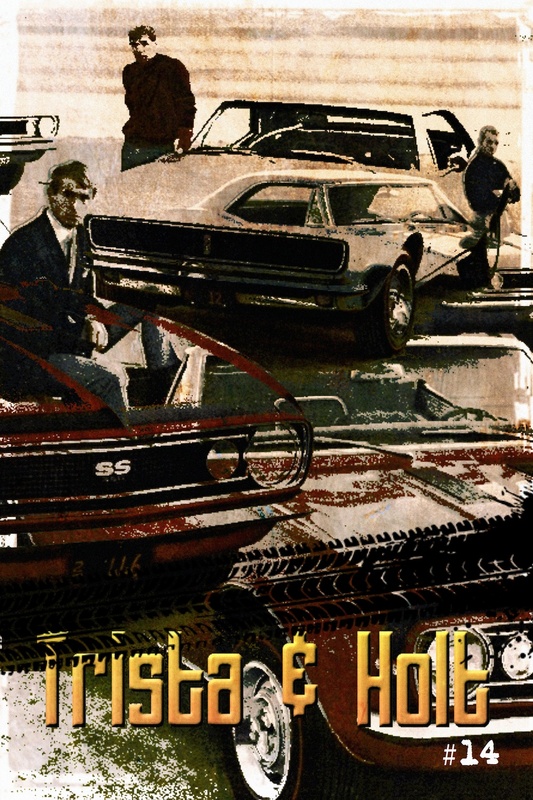 Commix 70’s style crime-saga homage Trista and Holt Vol 1 (collecting issue 1-6) and a trade paper back collection of Tales To Admonish both due for release in August 2015, with issue #7 of Trista and Holt following in September 2015, and a new novel in the works, Andrez Bergen’s distinct artistic style and storytelling will continue to bring us even more exciting characters and adventures. The future is looking very bright indeed! Andrez Bergen, Bullet Gal, Bullet Gal #10, Depth Charging Ice Planet Goth, Heropa, IF? Commix, Little Nobody, Major Patriot, Tales to Admonish, The Crime Crusaders Crew, Tobacco Stained Mountain Goat, Trista and Holt, Who is Killing the Great Capes of Heropa? After last issues innovatively silent take on Mitzi’s adventures, Bullet Gal #10 brings us the debut of Heropa’s newest hero, the diminutive Little Nobody. This latest issue of the IF? Commix book prequel series from Australian author Andrez Bergen, writer of the acclaimed noir-themed superhero detective novel Who is Killing the Great Capes of Heropa, IF? Commix series Tales to Admonish, Trista & Holt, the graphic novel Tobacco Stained Mountain Goat, and his new novel Depth Charging Planet Goth, brings us his most quirky and off-the-wall adventure yet in Bullet Gal #10 – available May 1st 2015 digitally and in print mediums by Australia publisher IF? Commix. Right from the get-go Bullet Gal #10 miniaturises us down to pavement level were Little Nobody is facing the thunderous challenge – and snapping mandibles – of a marauding ant. The flashback which follows quickly brings us up to speed, as we learn more about Little Nobody while he’s hanging out with his friends at the Teen Crusaders HQ, before a surprise call from Major Patriot gives our super-hero newbie the chance he’s been waiting for. With his mission briefing providing only scant clues: the photograph of a beautiful woman, a scribbled pseudonym, and the address for Ray-Man Studios, Little Nobody is ready to set off. Andrez Bergen playfully eschews the characters similarities with Ant Man. Although Little Nobody obviously has the ability to reduce to tiny size, he’s certainly no Hank Pym, he can’t control insects as the antenna on his helmet are purely for show, and even his snazzy looking utility belt holds little more than a few chocolate snack bars. So, when the journey begins Little Nobody soon discovers how everything suddenly feels very small once the world becomes instantly vast and immense around him. The characters inexperience and the haphazard nature of his first mission are what really defines this issue, a simple trip across the city becomes a dangerous urban safari viewed from Little Nobody’s miniaturised perspective, and it is these qualities that make his adventure so engaging and fun. As the writer and artist of this IF? Commix series, Andrez Bergen has constantly pushed the boundaries of storytelling and art with Bullet Gal, and this issue really highlights Bergen’s ability to fuse story and art in new and refreshing ways. Andrez Bergen’s art blends seamlessly with the clever amalgamations of photomontages and digitally enhanced black and white images, while the distinct noir-infused style of previous issues is defused somewhat, this issue boldly establishes a kinetically refined identity and pace all its own that ingeniously expands the scope of the Bullet Gal series as Little Nobody embarks upon his mission. The perils and pitfalls of Little Nobody’s journey provide a startling insight into this miniature world. A series of stylish montages and uncanny perspectives catalogue events: from the spinning record that divulges how Little Nobody chose his unusual moniker, we follow his unique trek across Heropa almost as if we were waving a magnifying glass over the page, as scenes shift from the bizarre, to the horrible, and the even pleasantly unexpected. Little Nobody’s battle with the ant is actually quiet unnerving, the latter stages of the mission prove less fraught, and the secret meeting deftly spliced with its allusions towards The Seventh Seal is utterly sublime. 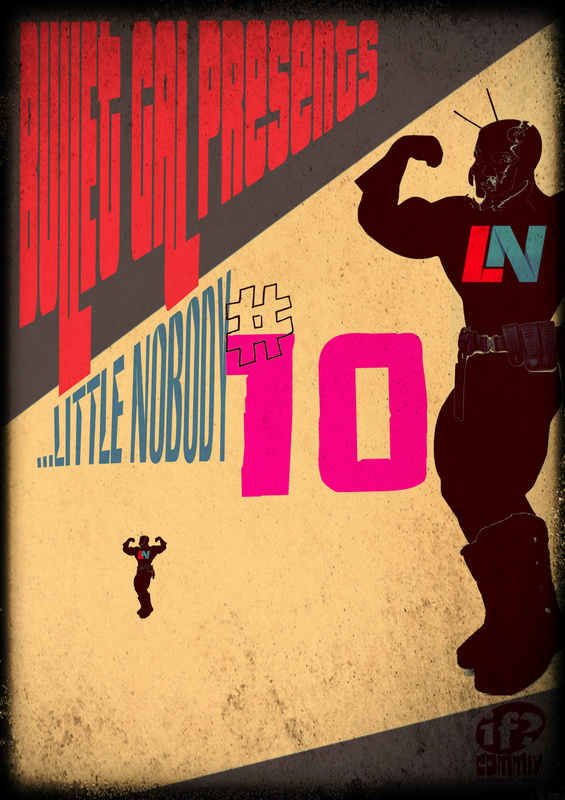 Little Nobody’s adventure in Bullet Gal #10 provides an extraordinary and fresh slant on the events following the attempt on Mizi’s life, it introduces us to a brand new hero, and takes the series in an entirely unexpected direction. Bullet Gal #10 is about as clear a homage to the writers and artists of yesteryear that Andrez Bergen has ever done in any of his works, his admiration for this halcyon era of comics shines though on every page, and this issues somewhat lighter, more off-beat tone, makes it a delight to read. Along with the release of Bullet Gal #10 in May there’s also latest issue of Bergen’s new IF? Commix 70’s crime series, Trista & Holt #3, to look out for, and the new Bullet Gal trade paperback edition: It’s not you it’s me, which collects the entire 12 issue series, is also available now from IF? And Under Belly Comics. Bullet Gal #10 is another terrific issue in this IF? Commix series. Andrez Bergen raises the bar yet again with this pint-sized Die Hard mash-up with Tales To Astonish. With its hyper-stylish art and visuals, great characters, and strong plots, Bullet Gal is a series that continues to exceed all expectations. Little Nobody may be small but his fun personality is larger than life. His mission turns out to be one of this IF? Commix series’ most unexpected highlights and Little Nobody’s witty observations ensures a wry smile or two will also be had along the way. digitally ($1) and in print form ($5) by Australia publisher IF?